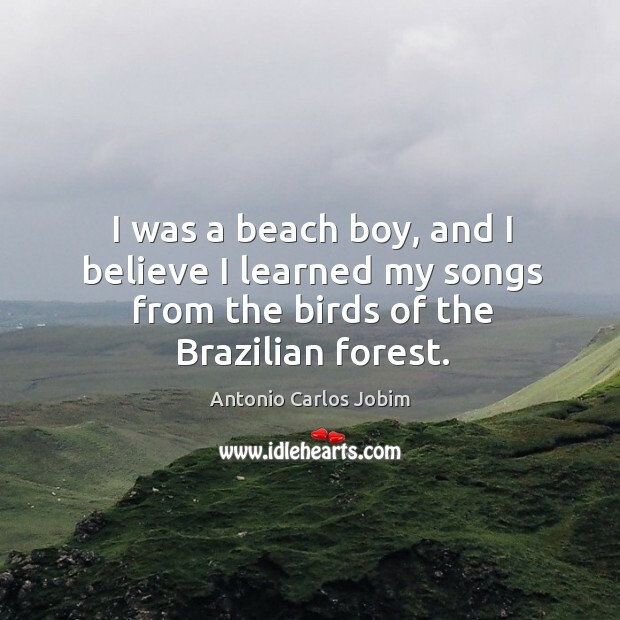 Enjoy the best inspirational, motivational, positive, funny and famous quotes by Antonio Carlos Jobim. Use words and picture quotations to push forward and inspire you keep going in life! 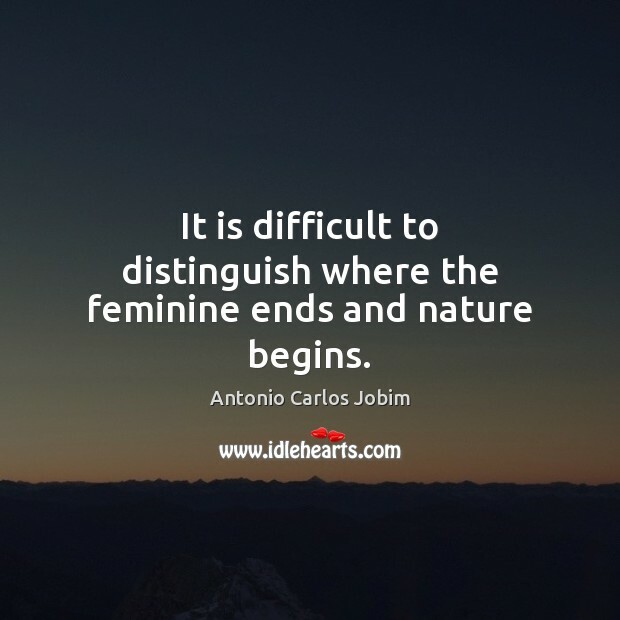 It is difficult to distinguish where the feminine ends and nature begins. 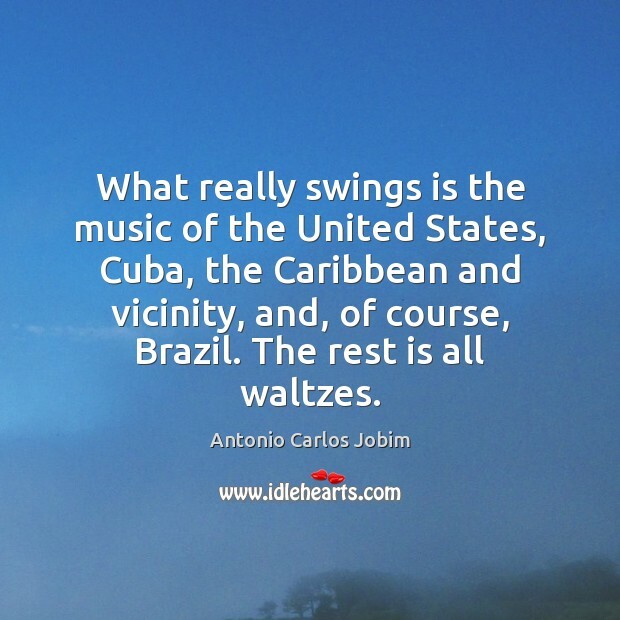 What really swings is the music of the United States, Cuba, the Caribbean and vicinity, and, of course, Brazil. The rest is all waltzes. I was a beach boy, and I believe I learned my songs from the birds of the Brazilian forest.